On Tuesday 3 October 2018, the Centre was very pleased to welcome Dr Sarah Thomas, who offered us a glimpse at some of the key findings set forth in her recently published book, entitled The Parish and the Chapel in Medieval Britain and Norway. The event was something of a homecoming for Dr Thomas, who completed a PhD at the University of Glasgow in 2009, on the provision of clergy and church buildings in the Hebrides c. 1266–c.1472. It was therefore fitting that Dr Martin MacGregor, who supervised Dr Thomas’s PhD alongside Prof. Stephen Driscoll, had the pleasure of introducing the speaker. Chapels can be defined broadly as buildings which functioned as places of worship in addition to the parish church. Between the 11th and 12th centuries, as Latin Christendom came to focus increasingly on Rome and the Papacy, the standardisation of religious practice and belief became a central concern. As the theoretical focal point of community worship, the parish church, it has been argued, played a crucial role in bringing about uniformity, potentially to the detriment of pre-established patterns of worship involving local chapels. However, these chapels have received very little dedicated scholarly attention. Dr Thomas’s book fills this lacuna for several regions. For Britain, case studies include the Diocese of Sodor encompassing the Hebrides and the Isle of Man; the Diocese of Galloway; and the Archdeaconry of Cornwall. For Norway, the study focuses on the Diocese of Bergen. The key questions which Dr Thomas’s study seeks to answer, are as follows: in this era, when the parish church apparently assumed a new central importance, how did these chapels, which lay outwith the official parochial framework, continue to function? What purposes did they serve? Who used them and why? As Dr Thomas informed us, the answer is not straightforward. Indeed, chapels served a variety of purposes in this period, and these could differ in character from region to region. A survey of chapels in England established three categories: dependent chapels, or chapels of ease; private chapels; and cult chapels. From her PhD thesis on the Hebrides, Dr Thomas added a further category: locational chapels. Here, we will touch on a few of these categories. The first category, dependent chapels are generally defined as those under the subjection of the parish church, but distant from it. Coming in various shapes and sizes, these provided a convenient place of worship for those at a distance from the parish church. Although acknowledging the ambiguity of the term ‘distant’, Dr Thomas pointed out that chapels that fell 2 miles or more from the parish church were usually granted burial rights. Chapels in closer proximity were usually denied these rights, as this could impinge upon the status and revenue of the parish church. Nevertheless, there were exceptions, with some chapels nearer the parish church showing evidence of churchyards. Private chapels, the second category, tended to be supported and used by a much smaller, select group of people. It appears that their primary purpose was to enable their patrons to attend Mass near to their residences. These chapels were also considered a potential threat to the rights of the parish church, evidenced by the limitations the latter often sought to impose on attendance at the chapels. For example, for several private chapels, only the man and wife were allowed to attend. For others, this extended to the children of the family. Baptism and marriage were forbidden in these chapels, although there is evidence to suggest that such ceremonies were carried out regardless. 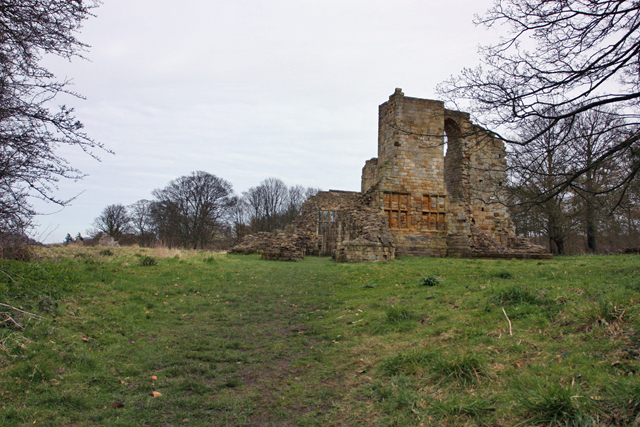 At Mulgrave castle in Yorkshire, for example, we find that, of two infants born on the same day in the castle, one was baptised at the private chapel, and the other in the parish church. Mulgrave Castle by Peter Church. Wikimedia Creative Commons. Locational chapels, the additional category identified by Dr Thomas, are those located on traditional travel routes, and at what could be termed ‘liminal spaces’, or spaces of danger. These served as stop off points, where travellers would assemble and pray before continuing their journeys or traversing dangerous geographical obstacles. Teampull a’ Ghlinne in Colonsay (Western Isles), for example, stood at the crossing to Oronsay, while the chapel of Øvreset in Norway stands on a traditional route of pilgrimage. While these very generally discouraged by the church hierarchy, there were occasions when they were granted rights by the local bishop. Dr Sarah Thomas concluded that, despite the common understanding of the church in this era as an institution which insisted upon and, to some extent, achieved greater uniformity in practice and belief, it is clear that local patterns of worship continued to prevail. Furthermore, chapels were not homogenous, but rather served different functions and roles. Finally, it is clear that chapels continued to challenge the position and rights of the more ‘official’ parochial church system throughout this period. We give our thanks to Dr Sarah Thomas for such a fascinating talk. We look forward to hearing more in the future. 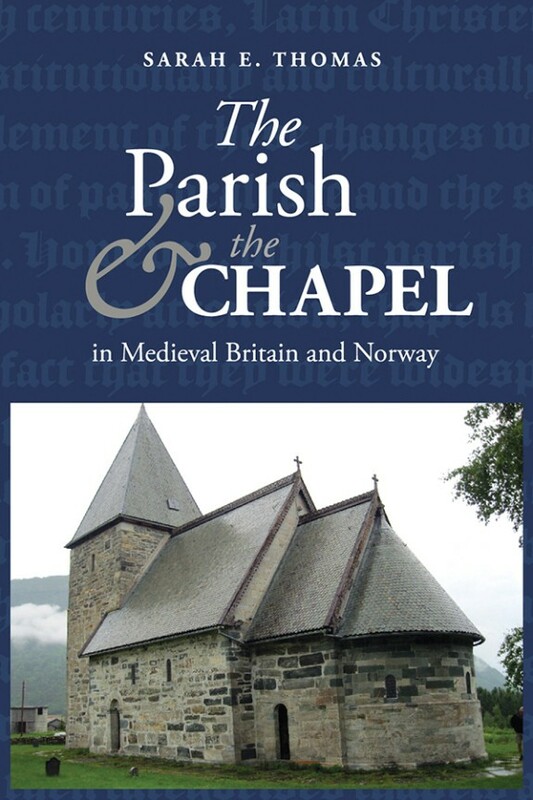 Her book, The Parish and the Chapel in Medieval Britain and Norway, published by Boydell & Brewer, is available to purchase via this link. Thanks to all who made it out last night for the seminar. Our next event on (9 Oct 2018) is the Centre’s social and showcase. Come along if you want to learn more about the Centre and get to meet the people involved. Refreshments will be available.